Words can literally create, or destroy, depending on how you use them. If you think thoughts are powerful, they are nothing compared to the impact words have! When words are properly used together, you can cast beautiful things and emotions into being. Think about it: with only one sentence you can make someone smile and have a better day; but with only one sentence you can ruin someone’s day too. Each word has a power on its own depending on the context and meaning behind it. And one simple word can make IMMENSE difference. 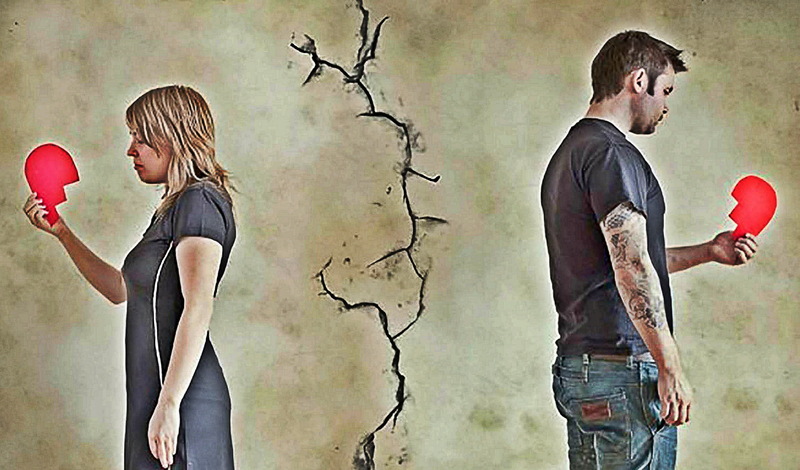 There is one word that is responsible for the end of most relationships between people. Sometimes, we don’t intend to hurt someone else by our words; this is where it gets a bit tricky. What do you think? On the surface, there is certainly nothing wrong. After all, we all have responsibilities, so it’s safe to assume that they really are busy, right? But exactly this word “BUSY” is the cause why most relationships between individuals end! When we say ‘I’m busy’ to our partners in the context of spending time with them, it sends a powerful psychological bomb in the structure of your relationship. It says A LOT more than the fact that we are actually really busy. It reveals the focus of your energy, the will to be with them, the structure of your priorities, the importance they have for you. It destabilizes the trust and creates space for doubt, no matter how much you trust each other. It sounds cold and disconnected. And when we get real, it’s really an excuse, it’s not something you say to people who matter to you! Here’s a newsflash: nearly every single person walking the earth is “busy”. If they’re not “busy”, they probably feel “busy”. To tell someone ‘I’m busy’ is too quickly avoid facing them. After all, what is “busy”? You could be rushing around the office, grabbing at paperwork and spilling your coffee, or rushing inside to the hotel where you’re staying on vacation to order food. No matter how busy and preoccupied you are with whatever you spend your time at, there is at least 1 hour free in your day. Not choosing to use a part of this free time to meet with your partner shows that you simply don’t care enough. You might do, you might really care, but what you show is very different. Your busy schedule is not an excuse because not everything on it is extremely important. There are things with higher priority than others, things you cannot reschedule, but there are A LOT of things you can move, cancel, or postpone. “Busy” is just a mental boundary to keep you away from what’s not important. We don’t say that you should leave everything and meet with them. But that you don’t put what’s important at the moment above them. But even in those situations the important people in your life deserve to know the reason of why you are busy. And if the situation is really urgent, and if they are at least a little sane, they’ll understand. There are 3 things you need to do if you are busy to avoid damaging your relationship: apologize about being busy, elaborate the situation explaining the reason, and speak about when you’ll be able to make time to meet. What’s important at the moment is a tiny dot. Your partner is the big picture. At least that’s how your priorities should be sorted if you truly care about them.